The Heart of Fire is with you! Do not fear, brave warrior! The Red God is always by your side. But to keep him at his strongest, you must offer fealty and your devotion to him. How? By visiting the shop today and making a purchase. 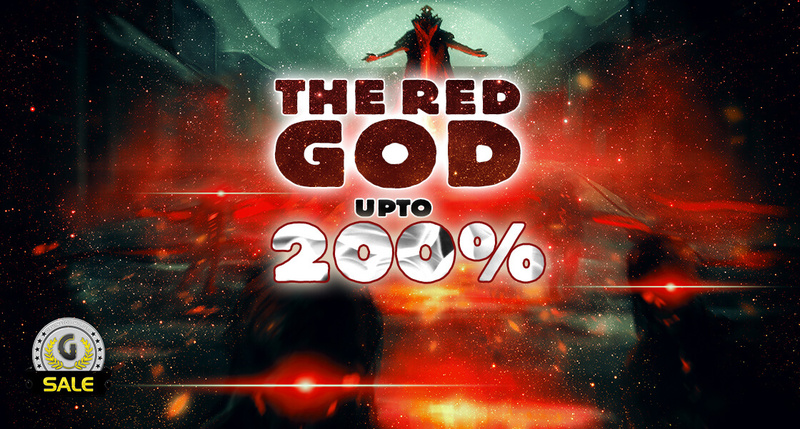 To reward you for your burning loyalty, he will give you up to 200% on top!